What do you have to lose? It’s FREE. A roof inspection saves you money by detecting small roofing problems before they become big ones. If you currently own your home and aren’t looking for an inspection as part of a real estate transaction or determination of insurability, you’re eligible for a free roofing inspection. Call us to schedule yours today. Roofing materials on both residential and commercial structures have to endure a wide range of temperatures and precipitation, as well as continued exposure to sunlight. These factors eventually have their way, and, sooner or later, all roofs will need repair and, eventually, replacement. Leaks can form that are not readily detectable, weakening wood and rusting metals, while producing mold and water damage, which may go on for months before any physical signs alert a tenant. Shingles loosened in previous years often flap and allow water to be blown underneath, only to lay flat again in calmer conditions, going unnoticed during a cursory, visual inspection. Old or dry-rotted shingles typically appear to be no different than those in good condition, often breaking off during a heavy rain or storm, where their failure causes immediate damage to other aspects of the roofing system. Metal roofing panels can become warped or corroded from the inside, and seals often fail long before the actual roofing materials give way, highlighting the need for thorough inspections on a regular basis and after any major weather events. Texas Star Roofing makes it easy to ensure a longer life for any type of roof with free inspections by qualified and experienced professionals, at no obligation to the home or business owner. 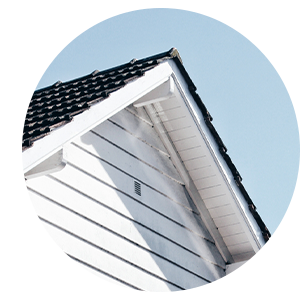 Our highly trained roofing inspectors will comprehensively check all the aspects of the roof and present owners with a professional, reliable assessment of the current conditions. Even if you cannot proceed with repairing or replacement options immediately, knowing exactly what state a roof is in allows you to plan for the future, while taking any preventative steps possible now. Our inspectors have the experience and training to understand whether repair or replacement is needed, and can provide homeowners with a free roofing estimate and options for repair or replacement, and, in some cases, confirm your roof is in good working order and does not need any repairs at all. The best part is the peace of mind from knowing the exact condition of your roof— completely free of charge. Request a free roof inspection today, with no obligation at all, and ensure the longevity of your home or business with a professional, comprehensive roof inspection by the leader in Dallas-Fort Worth roofing services, Texas Star Roofing. Looking for an experienced company you can trust? A free roof inspection by Texas Star Roofing can identify small issues that progress to the point of undermining roof and structure integrity. Our inspectors provide a free roofing estimate for any problems found. To claim your free roofing inspection, simply complete the form.